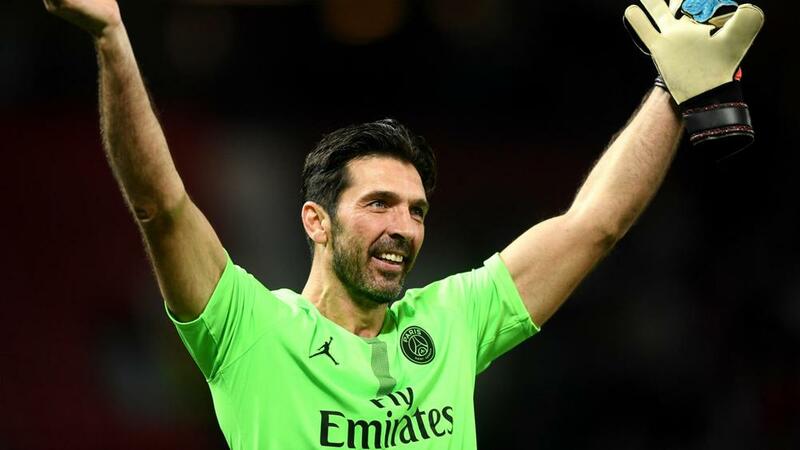 Paris Saint-Germain made their Champions League win over Manchester United "seem easy", according to goalkeeper Gianluigi Buffon. PSG outclassed United 2-0 in the opening leg of their last-16 showdown at Old Trafford in Manchester on Tuesday. After a scoreless first half, Presnel Kimpembe and Kylian Mbappe scored within seven minutes to put PSG in the box seat in pursuit of the quarter-finals. It was United's first defeat under caretaker manager Ole Gunnar Solskjaer and their heaviest home loss in Europe. "We made it seem easy by putting everything we had into those 90 minutes, the unity that is fundamental in this competition," Buffon told Sky Sport Italia. "We took some risks, but they allowed us to breathe when under pressure and break their attempt at pressing. "In such a balanced tie, that is worth so much." Buffon was named in PSG's starting XI and the 41-year-old became only the third keeper after Edwin van der Sar and Iker Casillas to reach 50 Champions League clean sheets. The Italian veteran arrived from Juventus in the off-season, with the option of an extra year in the French capital. "The contract is not a thought in my mind, to be honest," Buffon said. "I just want to keep enjoying my football, being useful to the club and my team-mates, whether on the field or if needed off it. "It has never been a problem for me to deal with a contract when I was 30 years old, let alone 41." France defender Kimpembe opened the scoring for PSG with a volley from Angel Di Maria's corner before Mbappe completed a swift counter-attacking move to put the Ligue 1 champions in a strong position ahead of the March 6 return fixture. "I have no words. To tell the truth, I don't realise it yet," Kimpembe said after scoring in front of the travelling PSG fans. "I'm like in a dream and I'm going to be able to enjoy it tonight and enjoy it."